Without Margaret Wille and Brenda Ford’s efforts, the anti-GE bill would not have originated nor been passed. Although they accomplished much of what they wanted, they did not succeed in getting a ban on GE papaya. Instead, they had to settle for severe restrictions that are already reverberating throughout the papaya industry and affecting young growers like Ross Sibucao. Some papaya growers are choosing not to renew their land leases because of uncertainty about the future of the industry. Others say they will not encourage their children to continue farming. Papaya growers fear a new strain of PRSV will arrive and devastate their crop once again. The new law would make it extremely difficult, if not impossible, to develop a papaya resistant to any new strain of PRSV that might come from China, India or other places where papaya is infected by a local strain. The law will also affect the larger farming community in Hawaii. Dairy farmers fear it will curtail their efforts to build new dairies that depend on GE pest resistant corn and soybeans to feed their cows — both of which are the commonly fed livestock grains used on mainland dairies. Insect-transmitted viruses will continue to affect other fruits, vegetables and flowers grown in Hawaii. Farmers will have to continue to spray insecticides rather than having access to genetically engineered plants that are virus-resistant. GE plants are readily available to farmers outside Hawaii. Presently, nearly all commercial GE crops are designed to control pests such as weeds, insects and diseases. First commercialized in 1996, these GE crops were used by 18 million farmers in 28 countries on nearly 450 million acres in 2014, with the majority of the GE acreage in developing countries. Adoption of GE crops has increased each year since their introduction in 1996 and, in most years, the growth of adoption has been in double-digits. In response to the new law, lawsuits are being filed and state and federal regulations may trump the anti-GE movement in Hawaii. To get a broader understanding of the impact of the Hawaii County Council’s anti-GE law, the process used to create the law and where it might end, I spoke with State Representative, Clift Tsuji, a member of the Hawaiian House of Representatives representing the 2nd District on the Big Island. Tsuji grew up on a sugar plantation like Dennis and Carol Gonsalves. 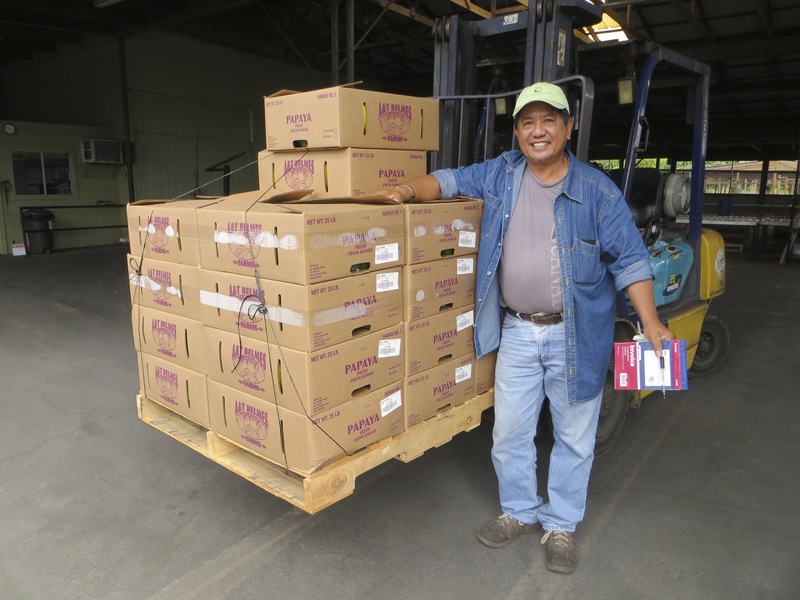 He is proud of the present diversity of Hawaiian agriculture, which includes seed production, floriculture, fruits, vegetables, coffee, taro and many other crops. Yet he is also concerned that Hawaii imports more than 80 percent of its food. “The anti-GM bills that are being proposed on the islands will hinder our ability to be food secure, which is a goal written in our state constitution,” he said. At least for the time being, the Big Island has scorned GE papaya and rejected other potential GE crops. A year after I spoke with Tsuji, other islands followed its lead when voters in Maui passed an initiative to ban the planting of GE crops on Maui, Molokai and Lanai. But growers need reliable tools in their toolbox to produce food that is safe for consumers, farm workers and the environment. What will they do?